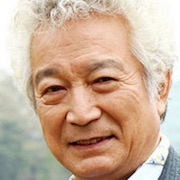 Jung-Il (Kang Shin Sung Il) is 72-years-old and he has retired from his job as a university professor. He now works at his friend's law office. One day, Jung-Il learns that he only has 5 months left to live. Meanwhile, Se-Ri (Ha Hee-Ra) is 43-years-old. She works at a raw fish restaurant. Se-Ri is single and has divorced twice before. Her ultimate goal is to marry a rich man. She approaches Jung-Il. "I Live Without Anything" takes over MBC's Wednesday & Thursday 21:55 time slot previously occupied by "Personal Taste" and followed by "Running, Goo" on June 10, 2018.